America’s auto safety watchdog, the National Highway Traffic Safety Administration, slammed Tesla Motors today for apparently asking customers to sign nondisclosure agreements after repairs that seemingly bar them from discussing potentially serious safety issues with regulators, Automotive News reported. 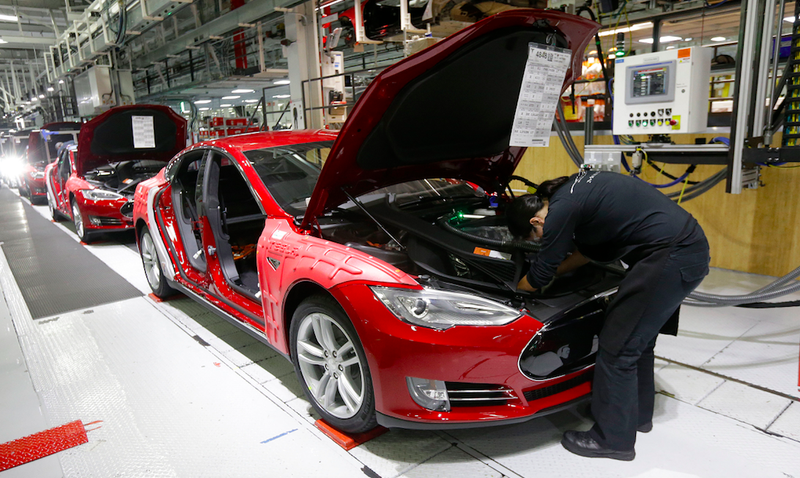 The report says NHTSA has warned Tesla about the company’s NDAs, which appear to include language asking customers to refrain from mentioning repairs to NHTSA in exchange for lower out-of-warranty repair costs. The agency immediately informed Tesla that any language implying that consumers should not contact the agency regarding safety concerns is unacceptable, and NHTSA expects Tesla to eliminate any such language. This comes on the heels of news broken by automotive website Daily Kanban, which alleged that Tesla might be covering up a serious safety issue regarding ball joints—crucial components keeping the wheel attached to the rest of the suspension. There were three instances where Tesla owners claimed they were asked to sign an NDA, the site reported. The Goodwill is being provided to you without any admission of liability or wrongdoing or acceptance of any facts by Tesla, and shall not be treated as or considered evidence of Tesla’s liability with respect to any claim or incidents. You agree to keep confidential our provision of the Goodwill, the terms of this agreement and the incidents or claims leading or related to our provision of the Goodwill. In accepting the Goodwill, you hereby release and discharge Tesla and related persons or entities from any and all claims or damages arising out of or in any way connected with any claims or incidents leading or related to our provision of the Goodwill. You further agree that you will not commence, participate or voluntarily aid in any action at law or in equity or any legal proceeding against Tesla or related persons or entities based upon facts related to the claims or incidents leading to or related to this Goodwill. Where Tesla crosses the line here is not the “crime” itself, but the coverup. If Tesla used a TSB rather than a recall to fix a safety problem, if it has an institutional bias against ordering recalls and if it uses NDAs as a matter of course to prevent owners from reporting defects, this could become the biggest auto safety scandal since the GM ignition switch affair. That’s a lot of “ifs,” but thus far the evidence indicates that these are very real possibilities. Automotive News says Tesla told NHTSA they actually weren’t trying to keep owners from talking to the agency about their cars’ issues. I myself have never heard of a deal where a manufacture fixes a broken part in exchange for an NDA, and Daily Kanban says such a deal is “unheard of in the auto industry.” Has this been done before? Either way, if this is all true, why did Tesla ask the owner to keep his mouth shut? We’ve reached out to Tesla for an official statement, and we’ll update when we hear more.